Lantek has become one of the drivers in the transformation for the industrial sector and of Industry 4.0, where it has been working for several years. “At Lantek we know the path to efficiency and it’s one that goes from the machine to the decision-making center,” states Adria Haines, Lantek’s U.S. Sales Director. “The sector has recognized that now there is no way around digitization,” commented Haines at the end of FABTECH. From small contract manufacturers to international firms – during various discussions over the four days at FABTECH – Haines and her colleagues clarified the advantages offered by the modular structure of Lantek’s software portfolio and how they can support every company during the digitization process; from tailor-made integrations to individual and custom-fit needs. Adria Haines explained to customers how to promote and simplify the digital transformation through the integration and real-time connection of machines, processes, plants, customers and suppliers in a streamlined way to improve management and optimize costs, maximizing productivity and profit, in addition to presenting Lantek’s innovation proposal. We all know that it is time to get down to work to make the most of the amazing opportunities offered by innovative technologies applied to industry, however the million-dollar question is how and with whom? 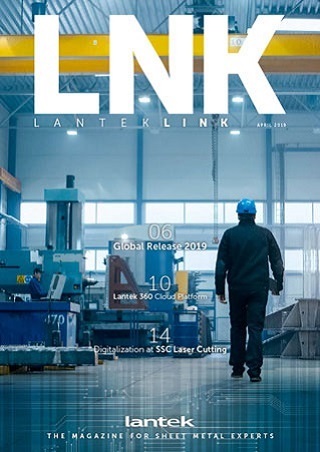 “This is where Lantek shows its experience and know-how, and positions itself as a trusted partner so that both its current and potential clients heed advice on their digital transformation and on their voyage towards Industry 4.0,” declared Juan José Colás, Lantek´s Chief Sales and Marketing Officer. “Ultimately, our objective is to send the message that Lantek ‘knows the way’ that allows companies to move towards Industry 4.0 and become more competitive. We know what the market wants because we listen to our customers and that’s why, on this voyage towards the intelligent Factory of the future, we offer them flexible solutions that are tailor-made to their specific needs,” explains Haines. Presented for the first time at FABTECH 2017, the Lantek Synergy platform sparked great interest from many of the industry’s top companies. Using two touchscreens, and with help from IT experts, visitors were able to see how to approach the digital transformation of their company and how they can optimize their entire production process. In doing so, the five Lantek Synergy modules take the overall production chain – from the supplier to the final customer – into account. The data that already exists in every company is processed in such a way that manufacturers can use it to optimize their operational processes. 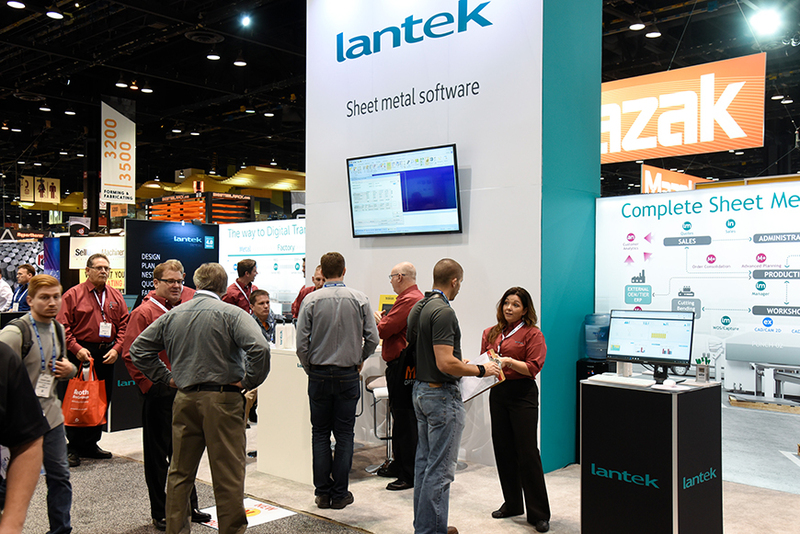 In this respect, attendees of FABTECH had the chance to discover not only the value proposition of Lantek Synergy and how it works, but were also able to share experiences, opinions and concerns with experts at Lantek.